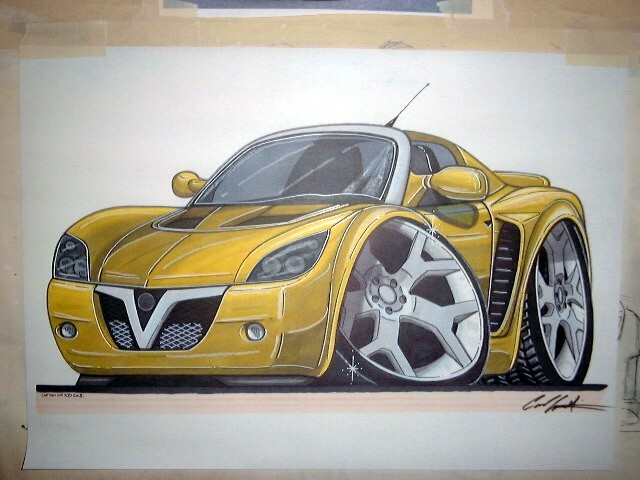 Wicked Artz Cartoons Draw your own Cartoon Car! Prices start from £75+ and do vary depending on the detail and amount of work involved within the drawing and also whether you want to use the image for commercial/business purposes, in which case, the costs start from £150. 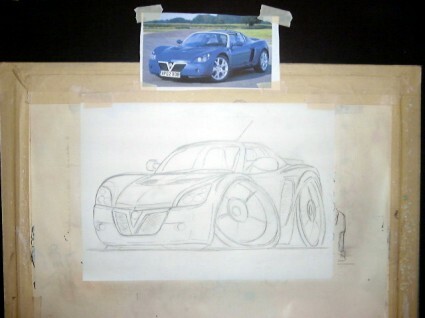 We have included the starting costs because in too many cases, the assumption is that private drawings can be produced by our artist Duc K for just £10/£20. If this is more in line with what you want to spend, then please select one of our existing pictures from our comprehensive catalogue of cars featured within our web site. If you wish you proceed with a private commission, then please send us an email with your requirements and we will put you directly in touch with our artist, though please remember, that the lead time for new drawings is often 2/3 weeks and longer as we approach Christmas time.